This is not a film that should or could be easily recommended. It has moments of brilliance in it's articulation that all film fans should experience, but it is ultimately about a brutal serial killer and I could not say it is a "must-see" like some other films that are labelled as such; the lauded movies that cross over genre, boundaries and have universal appeal, as well as being superbly crafted. 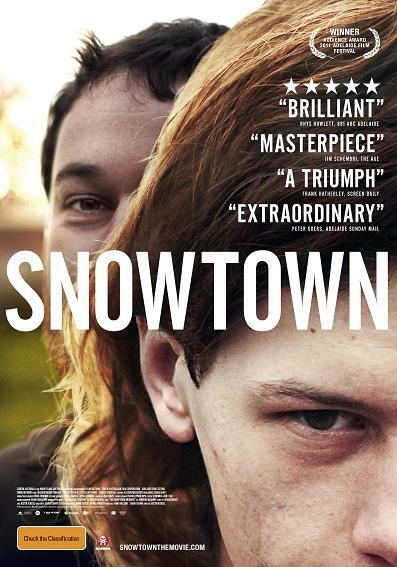 Snowtown will simply repel certain people too much. Blaming weak or uncultured stomachs would be a tad unfair too as the film’s major strength is its realism and some will just find it too much to bear. However, this should not take away from director Justin Kurzel's exceptional debut about the exploits of one John Bunting. Viewed as a work of fiction, it can be considered one of the best films ever made about a murderer. Viewed as it is; a re-telling of not-so-long-ago actual events – which cannot be ignored from almost the first frame- it is chillingly more impactful, no matter how much the film may have taken liberties or skipped over certain aspects of the real crimes. If you are aware this happened, you cannot watch without your mind falling back to that disturbing fact. Ignorance is possibly bliss in the case of Snowtown then, as knowing a person such as Bunting (played with meticulous malevolence by Daniel Henshall) inhabited a sleepy Adelaide street, is worse than assuming he is just an evil creation similar to Mick Taylor in Greg MacLean’s Wolf Creek. This is where the realism (particularly in the performances, production design and script), take hold and shapes an Australian film deservedly held up alongside ones such as The Boys and Romper Stomper – a confronting representation of a reality of our society. Certainly it is not even too insane to view Bunting in the same context as the insidious Taylor; like a mere distant relative more domesticated and less flamboyant. But in context, the events in Creek are almost fun compared to those here. With an amazing, creepy score weaving itself through to the chilling climax, Snowtown is overall a brilliant manifestation, but extremely intense. The only real criticism remains that the narrative is sometimes too confusing or ambiguous for its own good, making it easy to get somewhat lost among victims, relatives and time lines.